Previous Post Boho Off the Shoulder + Meet Stella! U by Kotex is the best! I seriously love their travel packs. These are great essentials! I try to always keep chapstick in my purse- I hate dry lips, particularly in the winter! I have the same essentials as you! Can't live without my planner or chapstick! I don't go anywhere without my planner and some extra feminine products. I love Izze and the notebook! So cute! 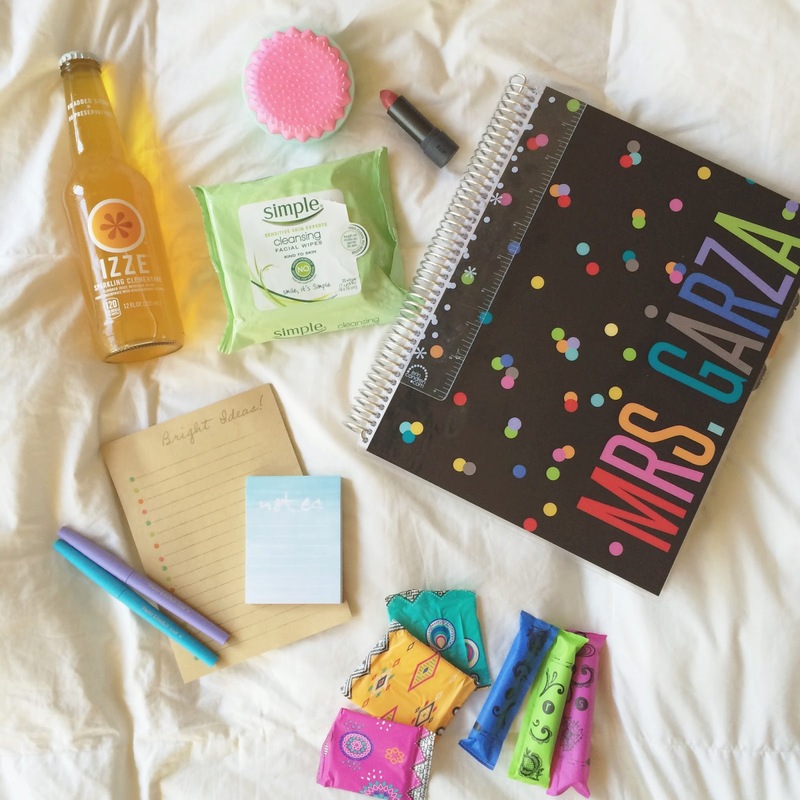 I always love seeing what everyone keeps in their bag 🙂 U by Kotex products are my favorite! Love seeing what's in your bag! I've been loyal to U by Kotex for years- they're the best! 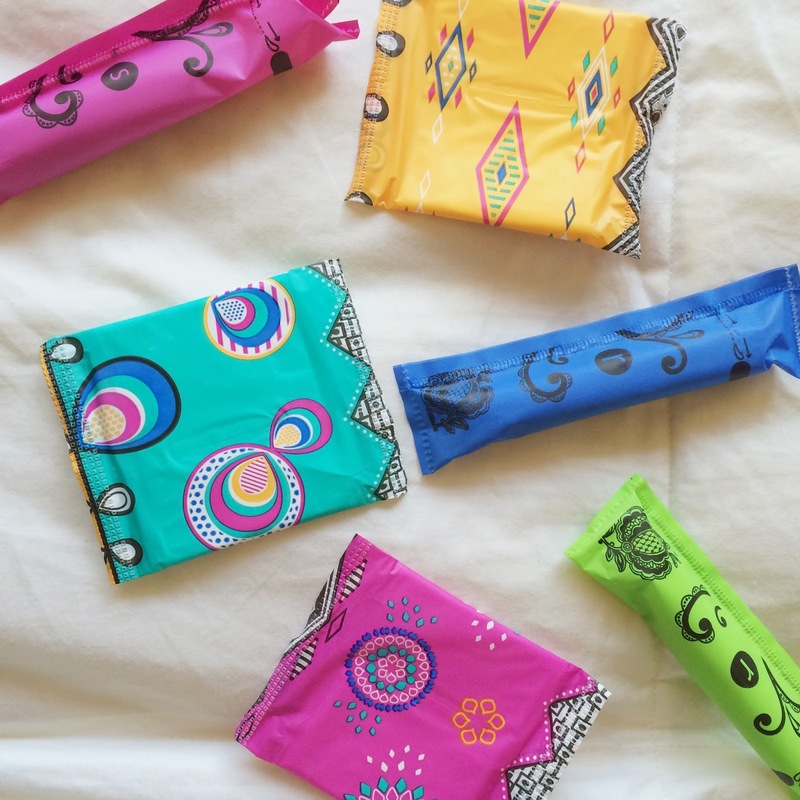 I love using U by Kotex liners! The packaging is so cute. I use a Plum Paper Planner but it still goes with me everywhere. 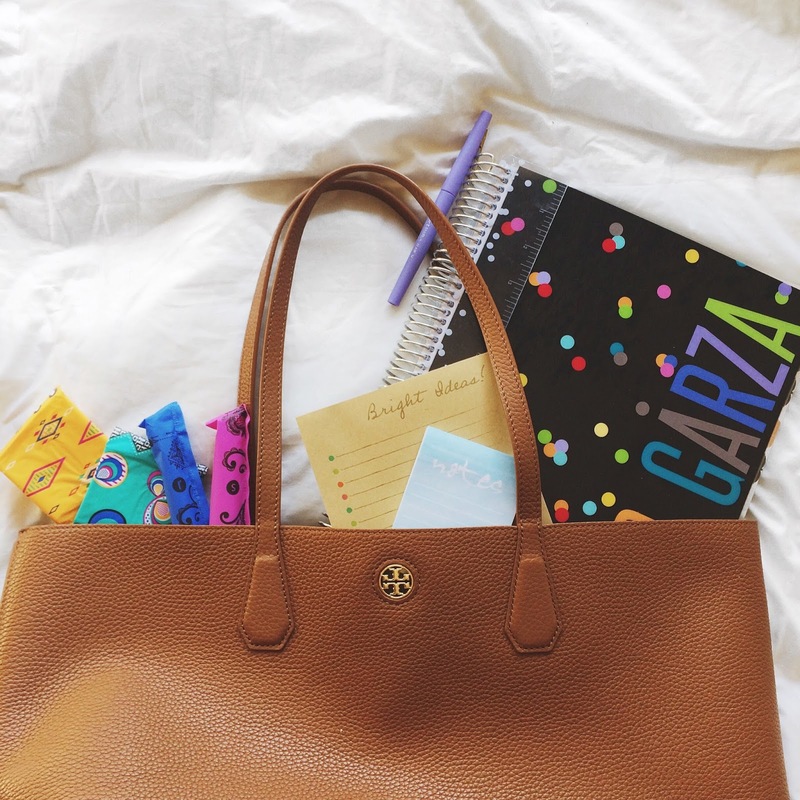 Erin Condren planners and make-up wipes are amazing life-savers, U by Kotex sound like they are too! I love the U by Kotex packaging. The first time by boyfriend saw them he was SO thrown off. Taking off my makeup is definitely my favorite part of my day as well, it really is so refreshing to have a nice clean face. Love your Erin Condren teacher planner, I totally ordered one for my friend who is becoming a teacher as a graduation gift! I need to organize my purse with all these prettiest! I swear it's a black hole sometimes! These are all great essentials! I also go no where without my planner! LOVE LOVE LOVE your Tory! I agree with each and everyone of these items. A girl has got to be prepared! I have the same purse too, and I love it! U by Kotex are my absolute FAVORITE feminine supplies. Like, they're it!! !